Our interactive Income Statement lets you modify your financial model directly within your forecast. No more switching between screens to change inputs and variables. Visualize, adjust, and perfect your projections all in one seamless interface. Bring your forecast together in a custom dashboard. Create incredible charts and precision metrics to visualize trends in your model. Display any time period imaginable – from a one month snapshot to a full five year projection. Connect with your QuickBooks Online. Set key goals and milestones, and track your actual data right alongside your forecast. Model multiple forecasts, explore different scenarios, and find the best path for your business to pursue. 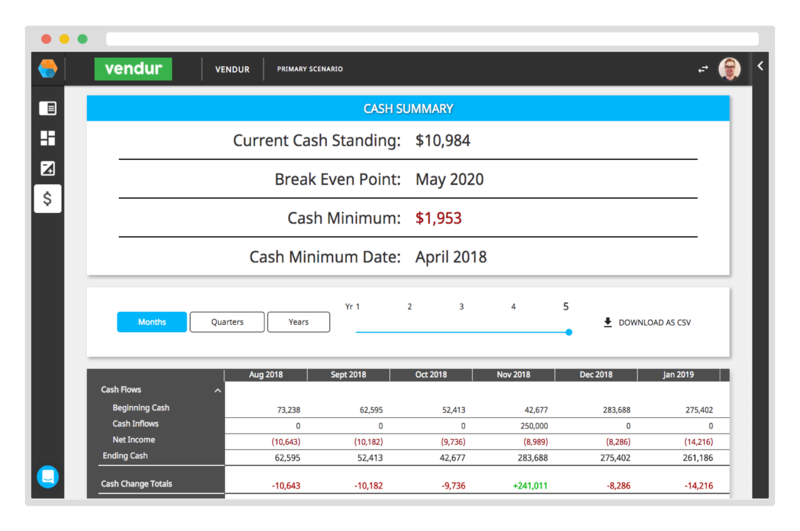 Invite your team, board, and investors to edit or view your forecast in a completely collaborative financial modeling experience. Enter your starting cash balance, and we’ll handle the rest. We pull your monthly burn directly from your income statement and tell you exactly how much runway you have. Never get hit blindly by an emergency cash crisis again. 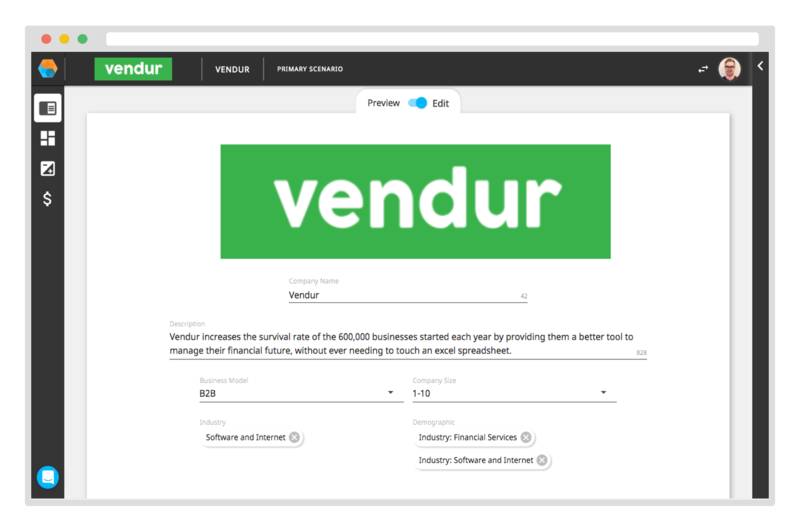 Sick of constantly updating, saving, and sending your financial model to your board, investors, and stakeholders? So were we. 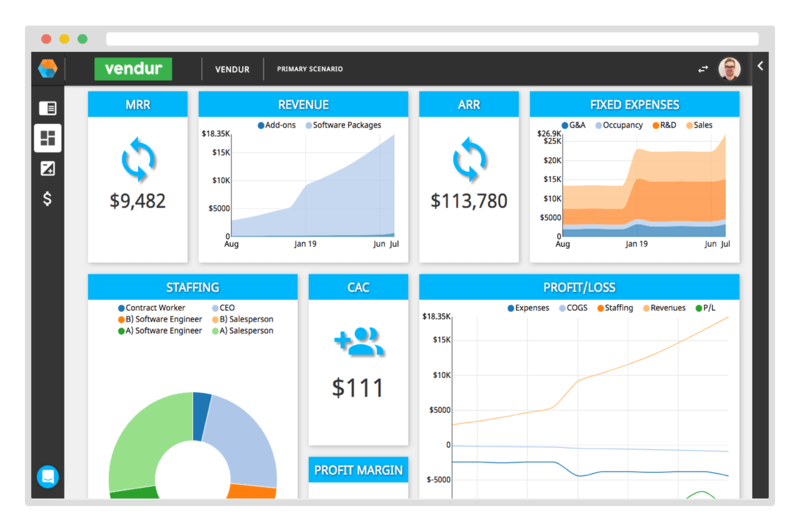 Create a custom company profile and showcase your entire forecast and business plan to anyone at your very own password protected URL. Experience it for yourself. Start your free trial today.